Danny we need more YouTubers like you who genuinely care about the game. Keep up the good work. That is to easy, there must be some convoluted connection to WW2. It could also be the war of 1803 -1815 as Napoleon rode a white horse. I don't know. IT's not that direct a clue. I mean you say it could be Napoleon. My first guess was it meant moving away from the last of horse era (ww1) to the mechanized era (ww2) as it looks like a tread mark over a horse. But if you read the description of the battle of White Horse, it lines up perfectly with a new BF game and possible new game mode. Plus that era has helicopters which many like along with tanks and planes. And hasn't been done before. I'm now thinking Bf2018 is the Korean War and not ww2. It isn't that direct of a clue. You say it could be Napoleon. My 1st guess was it symbolized moving away from the last of horse era (ww1) to the mechanized era (ww2) as it looks like a treadmark over a horse. But after reading the description of the battle of White Horse, well it lines up perfectly with a new BF game and possible new game mode on top of that. Plus that era has helicopters which many like along with tanks and planes. And hasn't been done before. I'm now changing my mind and thinking Bf2018 is the Korean War and not ww2. I also read that at the end of the war the americans rescued the ****'s prized white horses. So there's a ww2 connection of sorts. ..neverbethesame probably too strong for Korean War. I guess it's ww2. White horse could also be a Biblical reference. Battlefield: Revelations. The BF franchise started with WWII. It just hasn't been redone on the modern engines. it’s going to be colonial times...where we all line up row by row and pot shot each other..with muzzle loading weapons.. I've been saying the next one should be the Korean war. Perfect mix of modernish tech and WW2 weapons. Some interpretations connotate The White Horse with War obtusely. All the Skeletons and ...sounds like Zombies? Most interesting. While the bf 2018 reveal is pretty cool,its also a little bit of a letdown,my hopes were on a dogtag/weapon/skin/bow as a reward for finishing the easter egg. But the Korean War does not have multiple theaters so I still think it will be WW2. Agree that Korea would offer more technology (helos/jets) but do not think it offers enough variety for the game. 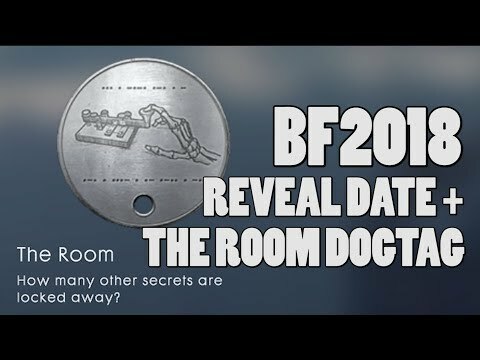 Didn't you get the Room dogtag? yeah I had a brief moment where I was thinking Korean War because the Battle of White Horse which I imagined could turned into a sweet new map and mode. Also imagined they could seque in INdoChina wars and Vietnam War. But yeah I think it is WW2. Be shocked if not.